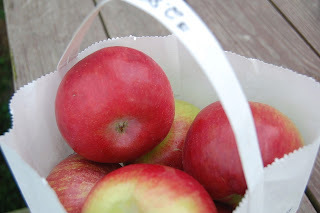 The youngest daughter and I made a run to the Farmer's Market this weekend. I didn't really need anything. We were just looking for something special to do together and the market just happens to be one of dd's favorite places in the world. We've been going since she was a baby and she always loves looking at all the fresh fruits and veggies and oohing and ahhhing over all the beautiful flowers and of course picking out the perfect old-fashioned candy stick. She was excited about her Pina Colada flavored candy but I was more excited about what I bought! Wow! You found some beautiful produce at the market! I love going to the farmer's market as well. Can't wait to see the results of all those recipes you've chosen! Looks wonderful! 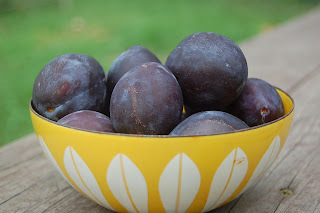 The plum recipes look great, but I can't ever resist biting into a nice plum so I doubt I would leave any to cook with! This looks like the catch I took out of my garden today only quadruple it. 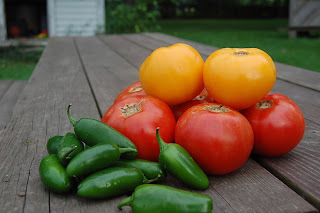 I made a super hot salsa with Anchos I grew and roasted myself today. It made 4 pints. I also made a great Escabeche(Pickled jalapenos) I did post that one on my blog. I am going to try your chicken tortilla soup soon as the weather turns cold. Nice! Farmer's Markets are wonderful places ... very theraputic ... lol!